The Education for Sustainable Development (ESD) Okayama Award 2017 has opened a call for nominations. Two projects will become winners and receive a prize of USD 3,000 per each recipient. The Award is organized by Okayama City and the ESD Okayama Award Steering Board. It aims to advance ESD practices and to support organizations carrying out ESD activities. 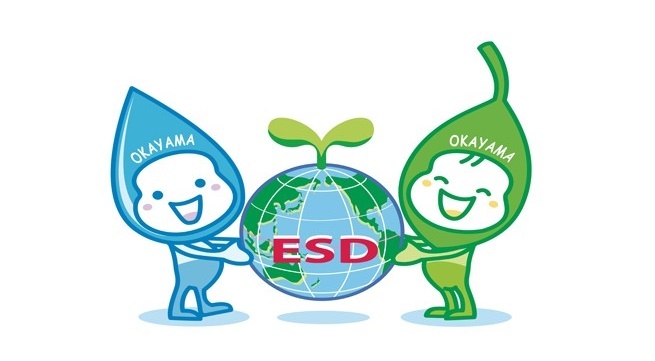 Being UNESCO’s partner of the Global Action Programme (GAP) on ESD in Priority Action Area 5 (accelerating sustainable solutions at the local level), Okayama City, Japan, has launched the “ESD Okayama Award” in 2015 to promote ESD in local communities around the world. Organizations based worldwide that implement ESD activities in local communities are eligible to apply for the award. -the project should have already been running for at least two years by April 2017. Innovation: project demonstrates an innovative approach to ESD. a) Complete the “ESD Okayama Award 2017 Application Form” in either English or Japanese. The form can be downloaded from the following link: http://www.city.okayama.jp/contents/000293386.docx . -the movie or slideshow of the nominated project will be used for the online voting. You can attach relevant supporting documents (maximum 5 pages in A4 format) to the application form. Documents exceeding 5 pages will not be accepted or considered. Please send the application form and other materials via email (see below) to ESD Okayama Award Secretariat (at ESD Promotion Division of Okayama City, Japan). Please write “ESD Okayama Award Application” in the subject line of your email. Award Ceremony: October 21, 2017.